April 11 (8.30pm) Johnny Duhan: The Voyage, Wexford Arts Centre, Cornmarket, Wexford. Following the launch of his autobiography The Voyage, Johnny performs a series of solo shows around Ireland, based on some of his most intimate songs and stories, dealing with the highs and lows of family history and married life. Tickets €20/18 ... BUT ... valued members of Comhaltas can purchase (in advance) 2 tickets for €30! Tel 053 9123764. Having travelled the world with bands such as Sweeney’s Men, Patrick Street, Planxty, and more recently Mozaik, Andy has seen and done it all. Now, as a solo artist, he remains at the vanguard of Ireland's top folk musicians. The good news is that he is coming to Wexford on April 20th, performing at Wexford Arts Centre. Tickets €20/18. Tel 053 9123764. Tá an tUachtarán Michael D Higgins tar éis bean chumasach, dhíograsach a thabhairt ar Lyra McKee, an t-iriseoir 29 bliain d'aois a maraíodh le linn círéibe aréir i nDoire. Bhí lucht agóide ag tarraingt aird ar athrú na haeráide ag ócáidí i mBaile Átha Cliath, i gCorcaigh agus i mBéal Feirste inniu. Aoine an Chéasta, Lá mór na Críostaíochta, chruinnigh na céadta oilithreach ag siúl na gcosán go barr Mhám Éan siar ón Líonán i dtuaisceart Chonamara, ar Thuras na Croise. Fáilte chuig suíomh idirlíon Comhaltas Ceoltóirí Éireann Craobh Loch Garman! Welcome to the official online presence of the Wexford Town branch of Comhaltas, one of the fastest growing branches in the Country! We have members in Rosslare, Rathangan, Taghmon, Crossabeg, Screen, Wexford town and points in between. Join today through our membership page and become a part of the Wexford family of musicians, singers, dancers and storytellers. We are committed to the preservation of Irish traditional music, song, dance and, of course, language. Bígí linn! 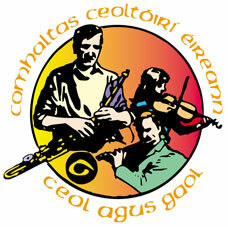 One of our main aims is to bring the Fleadh to Wexford. Tá sé ag teacht. Is éa an cheist ná cáthain! In the meantime we will continue with our efforts to increase awareness of, and appreciation for, traditional culture in Wexford. Má bhíonn suim agat sa cheol, sa chraic, agus sa chuideachta mheidhreach, bíonn áit agat so chraobh seo. Bígí linn!